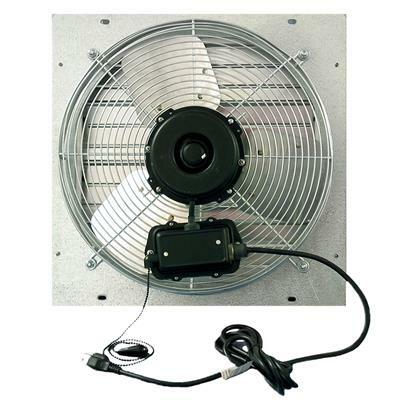 Commercial quality exhaust fan for the hobby grower. No plastic parts! 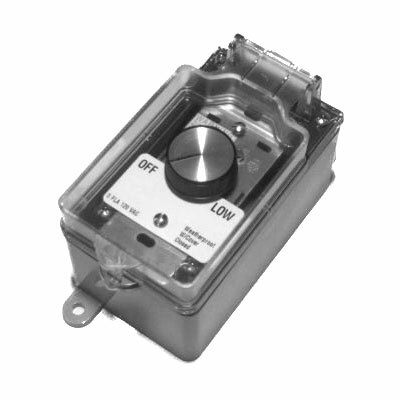 Totally enclosed motor is thermally protected and designed for continuous duty. 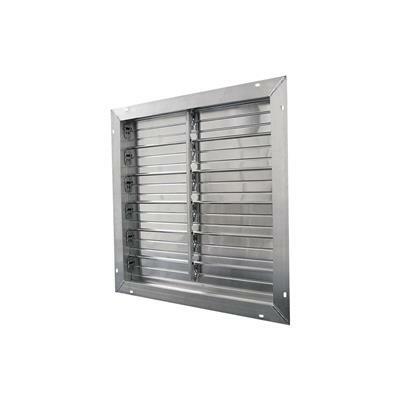 Includes exterior aluminum shutter that opens fully for maximum CFM output. 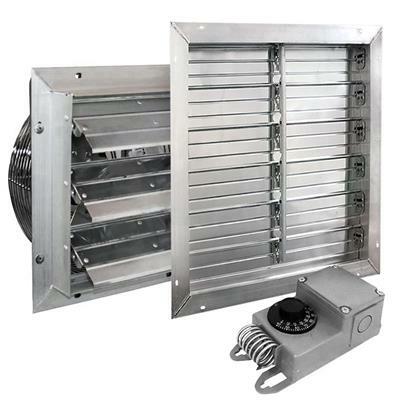 Outdoor air is drawn in through a motorized shutter and hot air is exhausted through this motorized shutter fan. 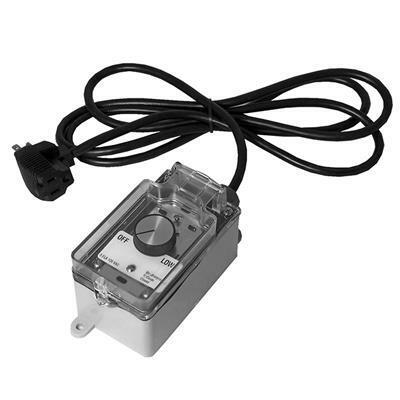 Optional 10' grounded cord available for each model. 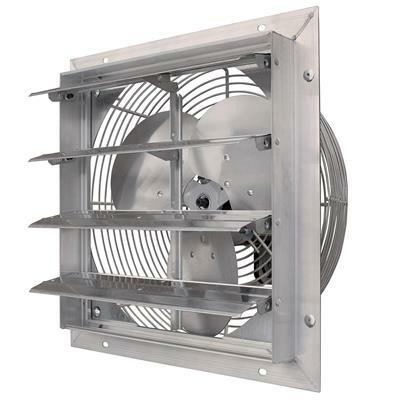 Chrome guard allows for easy cleaning and meets OSHA 1910.212(a)(5) requirements to mount at any height on inlet side of fan. Energy efficient, totally enclosed, maintenance free, direct drive high efficiency motors have completely sealed ball bearings, covered by a full two year warranty. 10" 1/8 3 115 0.9 60 1 3 1,740 12 1/2" x 12 1/2"
12" 1/10 S/Var* 115/230 1.0/0/5 60/50 1 S/V* 1,732 12 1/2" x 12 1/2"
12" 1/10 S/Var* 115 1.0 60/50 1 S/V* 1,732 12 1/2" x 12 1/2"
16" 1/10 S/Var* 115/230 1.0/0.5 60/50 1 S/V* 1,720 16 1/2" x 16 1/2"
16" 1/10 S/Var* 115 1.0 60/50 1 S/V* 1,720 16 1/2" x 16 1/2"
20" 1/10 S/Var* 115/230 1.0/0.5 60/50 1 S/V* 1,709 20 1/2" x 20 1/2"
20" 1/10 S/Var* 115 1.0 60/50 1 S/V* 1,709 20 1/2" x 20 1/2"
20" 1/3 S/Var* 115/230 3.8/1.9 60 1 S/V* 1,697 20 1/2" x 20 1/2"
20" 1/3 S/Var* 115 3.8 60 1 S/V* 1,697 20 1/2" x 20 1/2"
24" 1/2 S/Var* 115/230 4.8/2.4 60/50 1 S/V* 1,677 24 1/2" x 24 1/2"
24" 1/2 S/Var* 115 4.8 60/50 1 S/V* 1,677 24 1/2" x 24 1/2"
30" 1/2 1 115/230 6.2/3.1 60/50 1 1 837 30 1/2" x 30 1/2"
30" 1/2 1 115 6.2 60/50 1 1 837 30 1/2" x 30 1/2"
* Variable speed fans require separate variable speed control to adjust fan speed. Needed a small van to vent the eave of a growing house. The 24 x 24 was a great price and quality. Arrived quickly and safely. Easy to install.